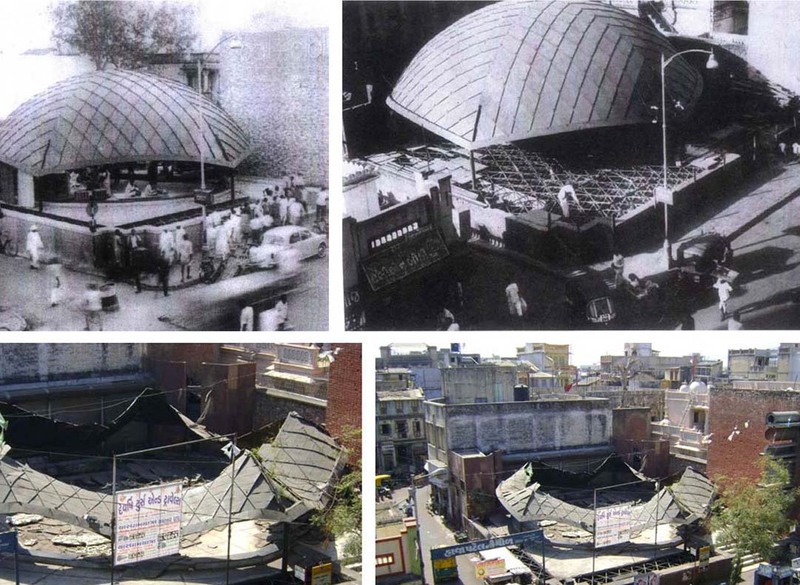 The Calico Dome was a geodesic dome at Ahmedabad. Gautam Sarabhai, along with his team, designed the Calico Dome, inspired by Buckminster Fuller\'s geodesic domes. It housed the showroom and shop for Calico Mills, which opened in 1962. The mills and shops closed in the 1990s and the dome went into disrepair. In the 2001 earthquake, the centre of the dome collapsed and heavy rains damaged the interior of the underground shop. Later the dome collapsed completely. The first fashion show in Ahmedabad was organised here. Indian actress Parveen Babi took part in shows in the 1970s when she was a student. 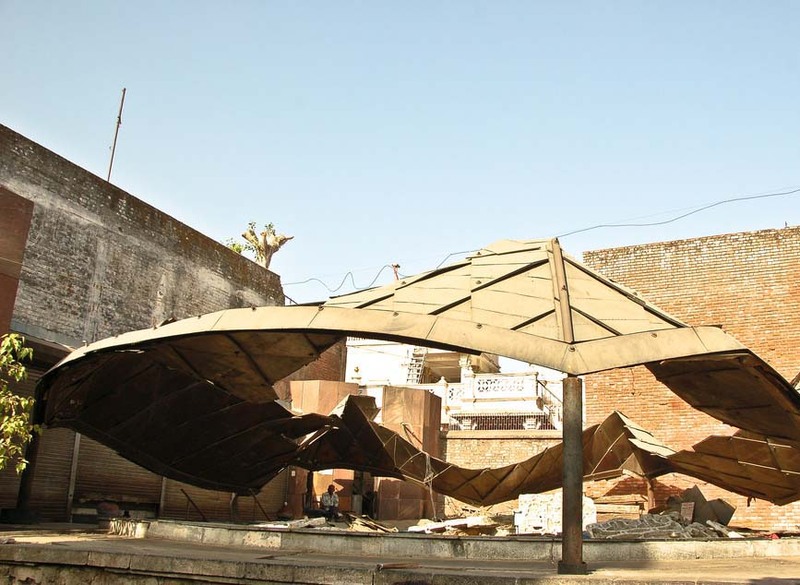 On liquidation of Calico Mills, Ahmedabad Municipal Corporation (AMC) bought it as a heritage property in 2006.